Lynn Manderville, alias fidlstix, joins us as our guest today on the Fruity Knitting Podcast Episode 16. 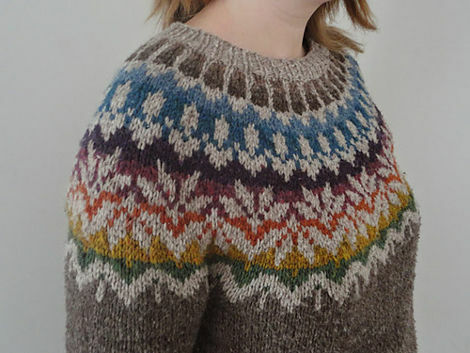 Lynn is a designer and teacher with a passion for stranded colorwork. 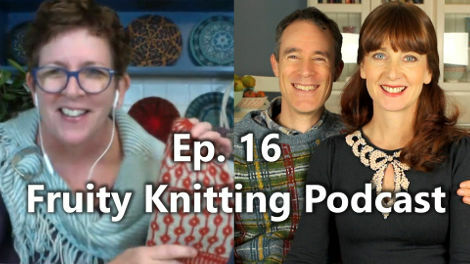 Our guest on Knitters of the World is Jenn Steingass. We have big news for the KALs, Extreme Knitting and more. Our interview is with Lynn Manderville, also known as fidlstix. 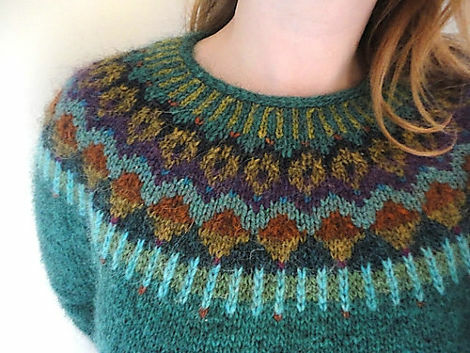 Lynn is a lifelong maker but has found her space in stranded colorwork knitting. 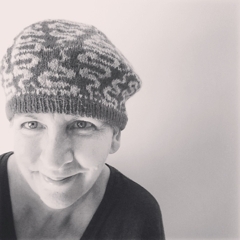 In addition to designing, Lynn is a experienced knitting teacher, and loves to unravel the mysteries of stranded knitting, including color combination, two-handed techniques, steeking and hat design. 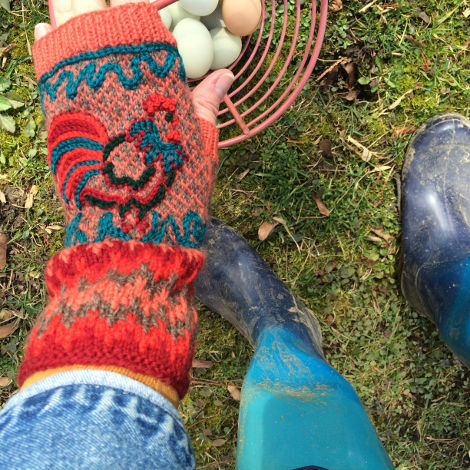 Lynn is based in Michigan, where, when she’s not knitting, she tends to her apple trees, her chickens and her husband. Andrea has called Jenn Steingass the Queen of the Lopi. Jenn mentions that in 2015 she joined the international sweater knitting group on Ravelry, which sets the goal of 12 adult knitted sweaters in a year. 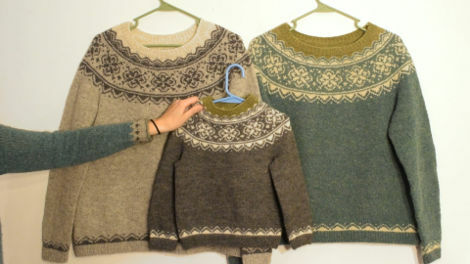 Jenn completed twelve Icelandic-styled sweaters, and fell into designing her own yoke sweaters. I worked on a garter stitch scarf until there weren’t any funky holes or increases or decreases, yarnovers, until I felt solid with the knit stitch. Andrea chose a design with a simple stocking stitch fabric to get the most out of the hand-dyed yarns she is using. 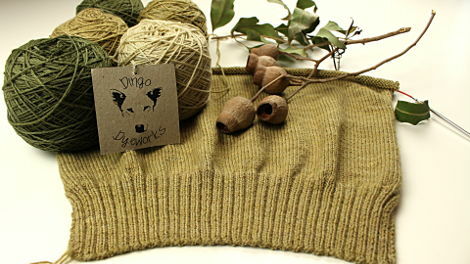 Andrea is using yarns from Dingo Dyeworks. We spoke to Petah from Dingo Dyeworks in Episode 13. Petah has a talent for colors, and has captured the colors of the Australian landscape in her yarns beautifully. Andrea chose the colorways Corymbia, and let Petah choose complementary colors to suit the pattern, and Petah came up with Golden Soils and Fraser. We’re both looking forward to seeing this sweater come together. 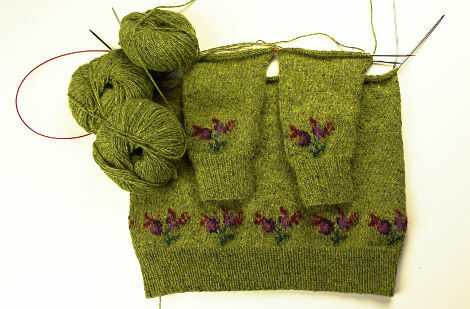 Andrea is continuing to work on her Blossom by Marie Wallin. There were more intricate intarsia roses on the sleeves. Andrea decided to go up a half needle size to get a looser tension in the intarsia. She’s also doing the sleeves two at a time on magic loop – like socks. What sweater is he wearing in this podcast! I love that tartan look! It’s difficult to find educated people in this particular topic, however, you sound like you know what you’re talking about!